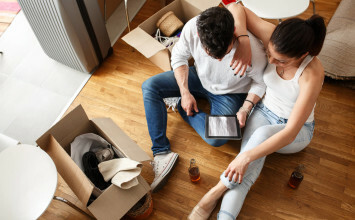 In case you haven’t heard, last year, Updater acquired IGC Software (IGC) and Asset Controls Inc. (ACI), two providers of the moving industry’s most widely-used software products. These two companies now officially operate as MoveHQ, a wholly-owned subsidiary of Updater, and we’re thrilled to use our time at the AMSA conference to celebrate the official launch of MoveHQ’s latest product, MoveHQ Engagement. Launch news aside, there’s plenty to look forward to in Fort Lauderdale. 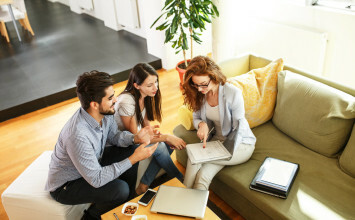 Read on to see what the Updater and MoveHQ teams are most looking forward to. 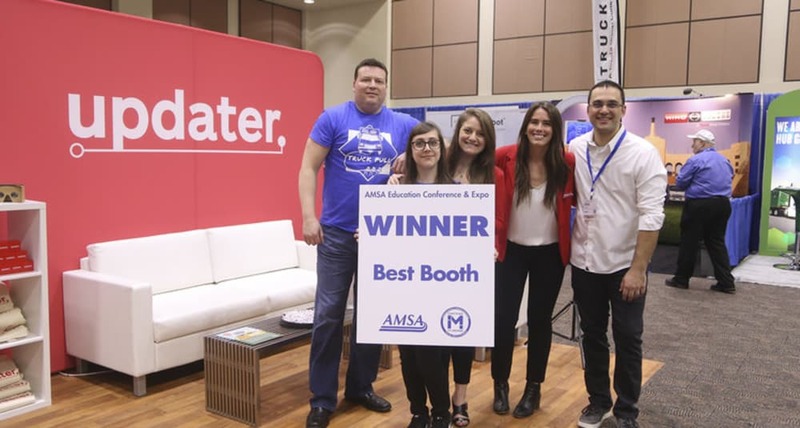 We are so proud to share that AMSA named Updater the 2017 Summit Award Winner. 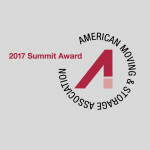 The Summit Award reflects the industry’s recognition of outstanding performance among suppliers demonstrated through strong leadership, visionary thinking, customer service practices, and development of an innovative product or service. This is the first time that Updater has won the Summit Award, and we are truly honored and humbled. To those of you who have supported us along the way, thank you! We couldn’t have done it without you. Come recognize the best in our industry and help us celebrate our first Summit Award at the Evening of the Stars Reception & Dinner on Tuesday, April 10th, from 6 pm to 9:30 pm. 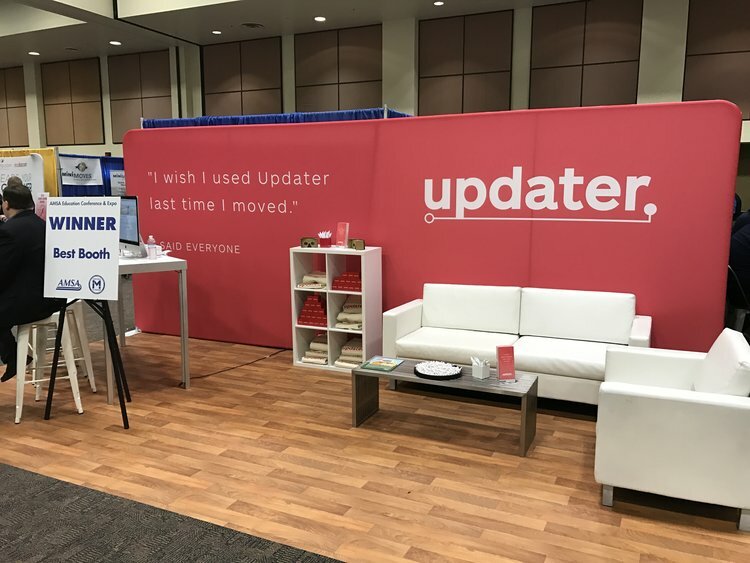 The Updater and MoveHQ teams will be posted up at Booth #415. Don’t forget to stop by to learn more about MoveHQ’s exciting new products, or to just say hi. We’re excited to celebrate the official launch of MoveHQ at our Launch Party on Monday night. To our clients and partners – you’re invited! Don’t forget to stop by our booth (#415), in the exhibitor hall to pick up your entrance bracelet to the party! You will need this bracelet to enter the party. We’re proud to partner with the wonderful team at Move For Hunger and join the second annual AMSA Truck Pull. For a donation of just $25 per person, your team can literally (or at least attempt to) pull a moving truck. Plus, you’ll get a pretty sweet t-shirt. Last year, someone even pulled the truck by himself! The fastest team will receive two complimentary drink tickets, sweet prizes like a Truck Pull trophy, and of course, ultimate glory/bragging rights! The 2nd annual AMSA Truck Pull takes place Monday, April 9th at 2 pm in the Indoor Truck Exhibit. The Updater team at the 2017 Move For Hunger Truck Pull at the AMSA Conference. Sign up here to pull a truck and fight hunger with us. The American Moving & Storage Association Political Action Committee (AMPAC) Pinewood Derby is celebrating its 11th year! This year, AMSA is hosting its first-ever Supplier Showcase. 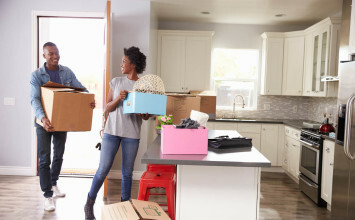 The Supplier Showcase, set to take place in the Expo Hall, is a new event in which industry suppliers take 10 minutes each to share the latest, most innovative products and services created for the moving industry. Updater and MoveHQ will present MoveHQ Engagement on Monday, April 9th, from 12:45 to 12:55 pm. Stop by to learn more about how our new tools can transform your marketing and sales strategies. 40 Below has made it easy for conference attendees to give back this year… and have a lot of fun in the process. 40Below is hosting a bike build where volunteers will work in teams to build and customize bicycles that will be donated to local children. The first team to cross the finish line will win a prize and of course, get that warm, fuzzy feeling that comes from helping others. All the bicycles will be donated to the Boys and Girls Club of Broward County. As Updater’s Marketing Coordinator, Lauren is responsible for managing all of Updater’s events, social media channels, partnerships, and more. When Lauren isn’t tweeting for Updater, you can find her eating, traveling, or taking pictures.